ites and flying toys have been around for thousands of years. But the science that led to the invention of the airplane is fairly recent, dating to just 1799. There were two scientific investigations into fixed-wing aviation prior to that time, but they led nowhere. About 875 CE, scientist/inventor Abbas Qasim Ibn Firnas built a set of fixed wings and made a free flight in Cordova, Spain. 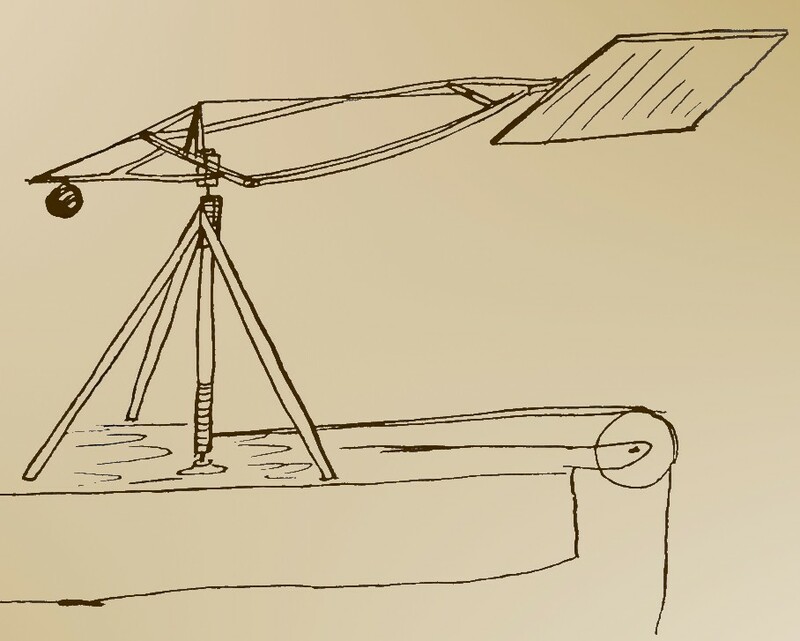 In the 1480s, artist/inventor Leonardo Da Vinci studied mechanical flight. In both cases, however, no one preserved or continued the work of these brilliant men. Only a few short references in Islamic histories document the flight of Ibn Firnas. 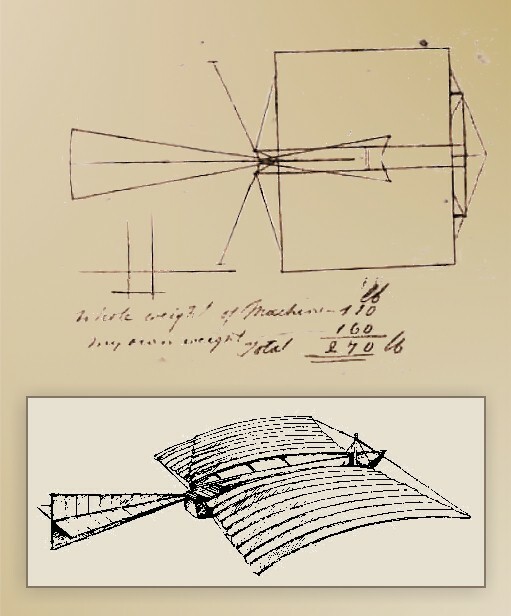 Da Vinci's notebooks in which he recorded his work in aviation were scattered and only rediscovered in the late nineteenth century, too late to be anything but a curiosity. 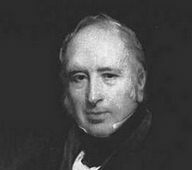 It wasn't until Sir George Cayley designed, built, and flew several fixed-wing flying machines between 1799 and 1853 that aviation took root as a scientific endeavor. 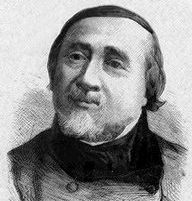 Cayley's published writings laid a foundation for the scientists that followed him, upon which they built a body of knowledge about mechanical flight. This, in turn, inspired the work of the Wright brothers. This timeline summarizes the events that led from Cayley's work in 1799 to the Wrights' first powered flights in 1903. 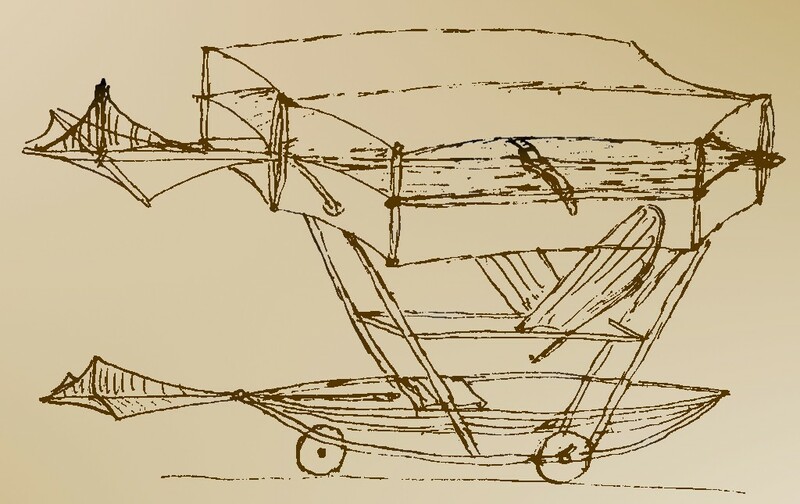 The First Airplanes, 1799 to 1853 – Experiments prove the feasibility of a flying craft with fixed (instead of flapping or whirling) wings to generate lift. 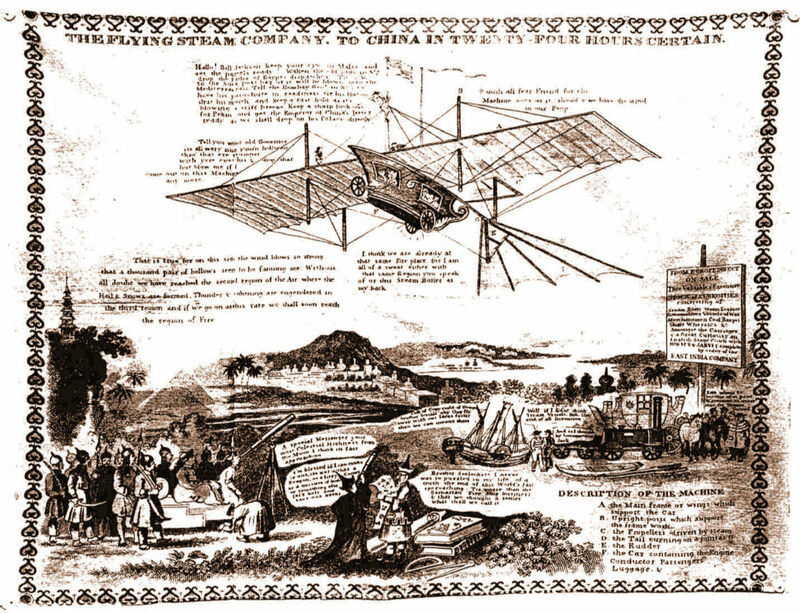 Powering Up, 1854 to 1879 – Designers begin to test various types of engines to propel their airplanes. Airmen and Chauffers, 1880 to 1898 – Two schools of thought arise on control. Should airplanes be balanced in the air by skilled pilots, or should designers create craft that are inherently stable? The Road to Kitty Hawk, 1899 to 1903 – The Wright brothers experiment with a series of gliders, teach themselves to fly, and make the first controlled and sustained flights. 1799 Sir George Cayley, a baronet in Yorkshire, near Scarborough, England, conceives a craft with stationary wings to provide lift and "flappers" to provide thrust. It also has a movable tail to provide control. So convinced is he that this idea is an earth-shaker, he engraves a drawing of this craft on a silver disk. 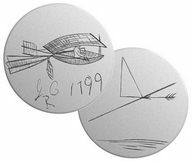 Cayley is the first to separate the different forces that keep an aircraft in the air, and his engraving is the first recorded drawing of a fixed-wing aircraft -- an airplane. Cayley's engraved disc — The front shows his design for a fixed-wing aircraft, the back shows how thrust is used to generate lift and overcome drag. The is the top view of Cayley's airplane from his notebook, along with his estimate of its weight. The inset shows how it might have looked had it been built. 1804 Sir George Cayley, England, builds a miniature glider with a single wing and a movable tail mounted on a universal joint. It also has a movable weight to adjust the center of gravity. It is the first recorded fixed-wing aircraft of any size capable of free flight. 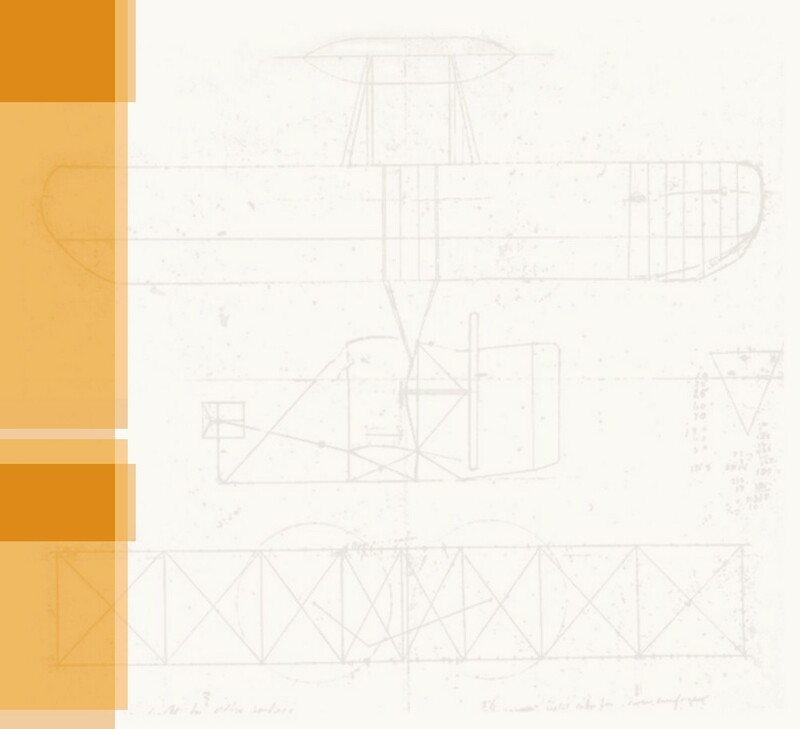 In 1804, Cayley recorded this design for a small fixed-wing glider in his notebook. 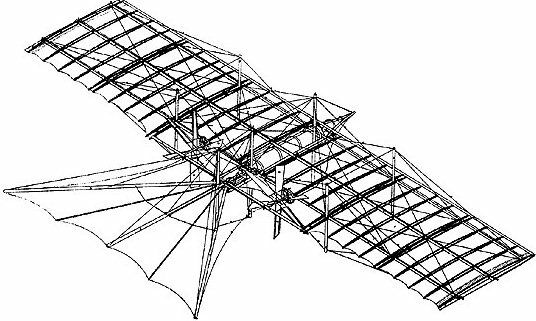 1809 Sir George Cayley builds a man-sized version of a glider with a wing surface of 300 square feet (28 square meters). An assistant makes a few tentative hops in the air, holding onto the stick fuselage. 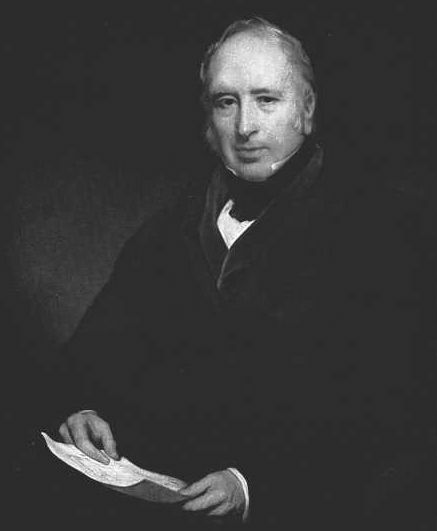 Sir George Cayley publishes On Aerial Navigation, a three-part article which appeared in Nicholsons Journal of Natural Philosophy. It is a milestone and for the first time defines the three elements required by an aircraft  lift, propulsion, and control. 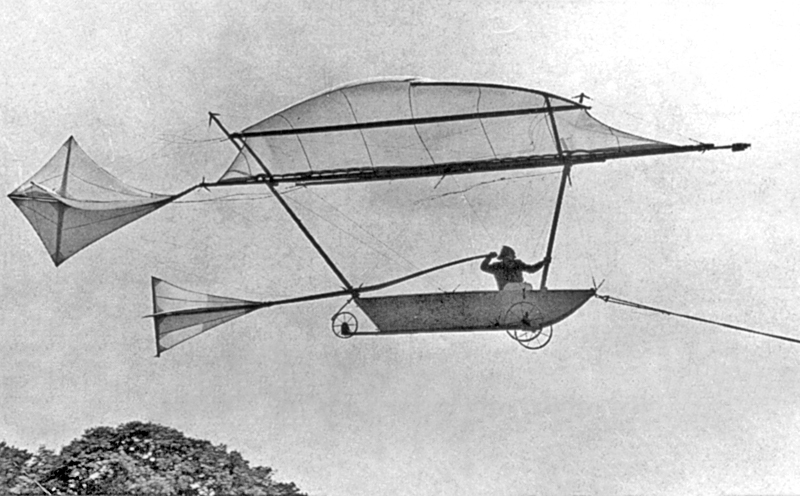 Cayley's 1809 glider was similar to a modern hang glider. 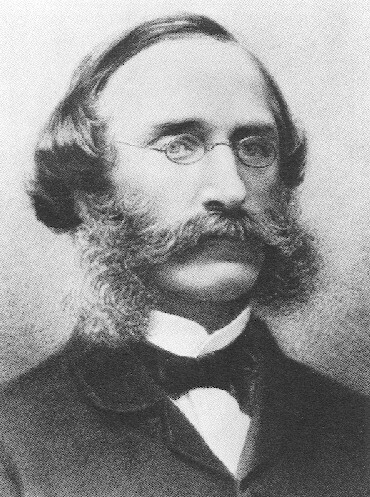 The articles in Nicholson's Journal also described Cayley's "whirling arm" experiments. It was the first time anyone had measured the lift generated by wing surfaces. 1810 Thomas Walker, a portrait-painter from Hull, England publishes a pamphlet on the possibilities of fixed-wing aviation. 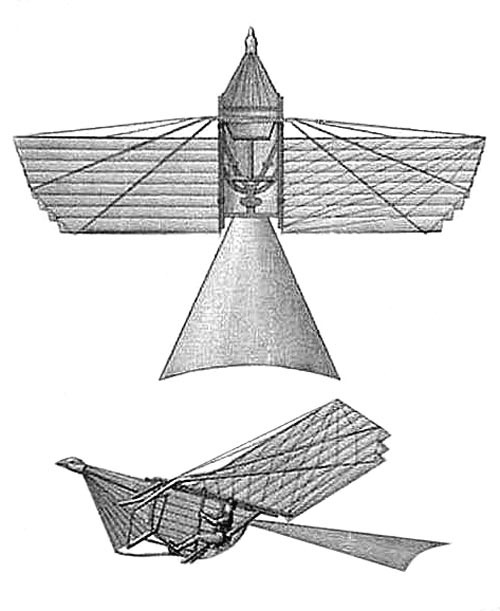 In it is a design for an airplane that at first appears similar to Cayley's 1799 vision. But what looks like a single wing is actually composed of 8 long slender wings that overlap one another. The control system adjusts the angle of attack of the winglets. This, in turn, varied the lift and caused the airplane to ascend or descend. Or so Walker hypothesized. Walker's aircraft design had a stick control that increased or decreased the lift. 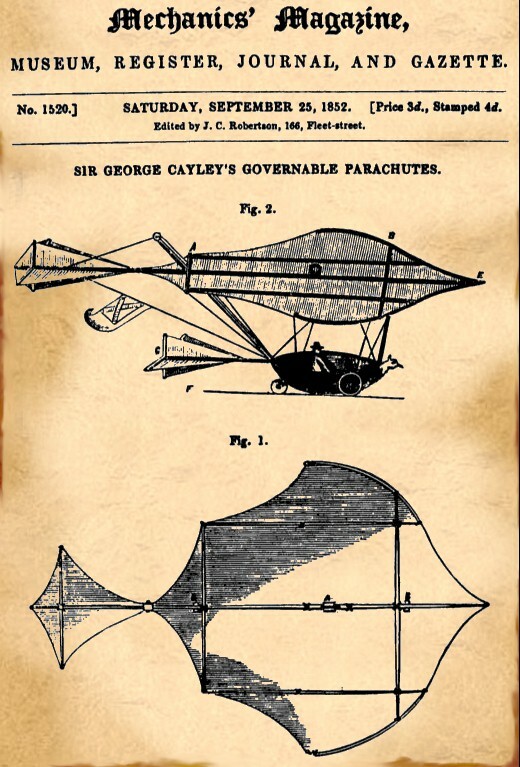 1840 Sir George Cayley tries three times to organize an aeronautical society in England to study the problems of flight and advance the science of aeronautics, but finds little interest among English scholars. Despite the recent success of aerostation (lighter-than-air balloons), the topic of heavier-than-air flight still has the stigma of the crackpot attached to it. 1831 Thomas Walker revises his 1810 pamphlet and proposes a tandem-wing airplane with the pilot and the propulsion system amidships. Gone are the rows of winglets; each wing is a solid curved surface. Walker proposes that two sets of wings – one forward, one back – will balance the load in the air. Much later, Walker's design will later influence Samuel Langley as he builds and tests his "aerodromes" at the Smithsonian Institution in America. 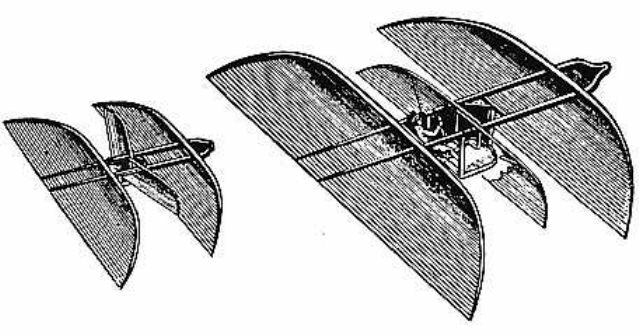 The small movable wings between the two larger sets of fixed wings are "oars." 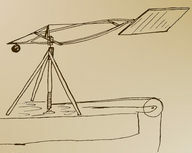 Walker intend for his aircraft to be rowed through the sky. 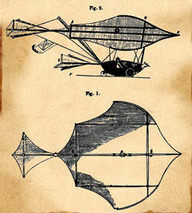 1843 William Samuel Henson, England, proposes the Aerial Steam Carriage in Mechanics Magazine. It is the first known design for a propeller-driven fixed-wing aircraft. Although the full-size aircraft is never built, the concept helps popularize Cayley's vision of fixed-wing aircraft and has tremendous influence on the subsequent development of aviation. Henson's request to form an "Aerial Transport Company" is rejected by the House of Commons amid much laughter. 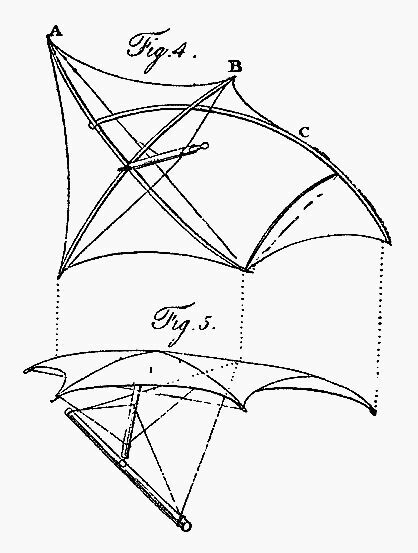 The patent drawing for Henson's aircraft showed a ribbed wing with spars supporting the load. This design will become standard wing construction. 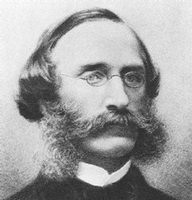 1848 William Samuel Henson and John Stringfellow successfully form the Aerial Transit Company, which (if only they had a practical airplane), would have been the world's first airline. To drum up support, they build and test a model of Henson's aerial carriage with a 20-foot wingspan. It makes brief powered glides of up to 130 feet (40 meters), but does not sustain flight. A scarf with a silk-screened ad for the Aerial Transit Company. 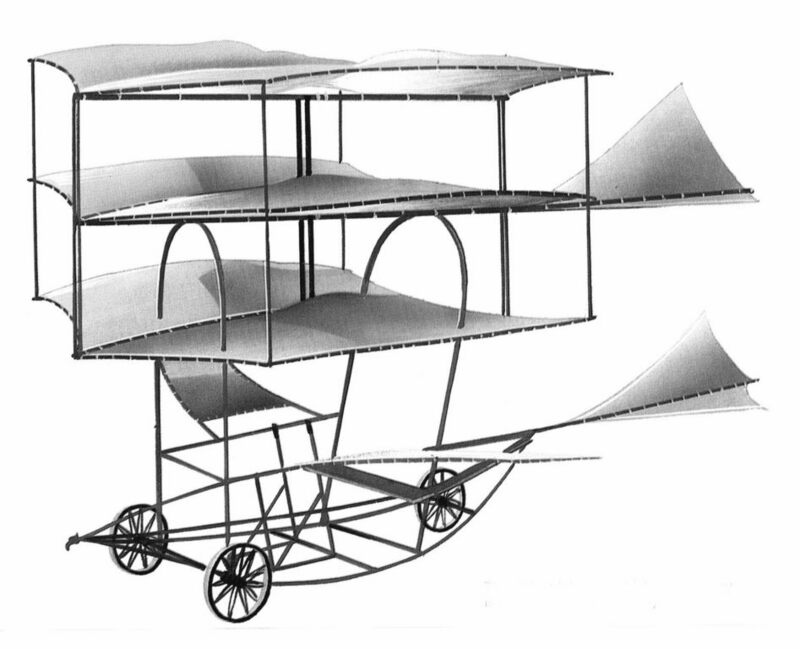 Stringfellow's model of the Aerial Steam Carriage. 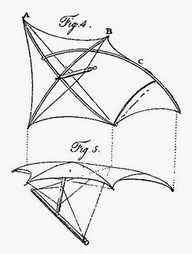 1849 Sir George Cayley builds a small triplane glider designed to lift about 80 pounds of the ground. History remembers it as the "boy glider," although Cayley seemed to think of it as a "governable parachute." It is the first recorded manned (or boyed) fixed-wing aircraft. A group of people tow it aloft, lifting a 10-year old boy off the ground for a short distance. Cayley also flew the craft in a high wind like a kite, tethered to the ground. The boy glider had two small flappers, one on either side, which were intended to balance the aircraft, not propel it. An artist's depiction of Cayley's "boy glider." The control sticks should be connected by bell-cranks to the flappers. 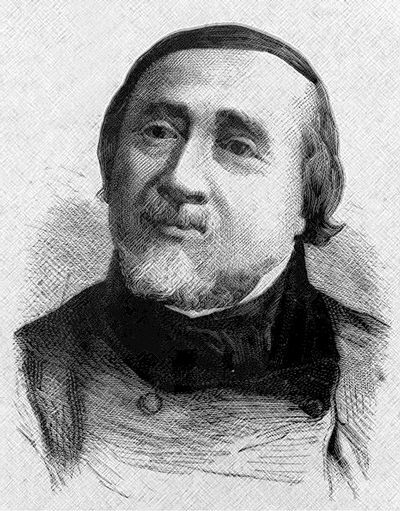 1852 In France, aeronaut Jules-François Dupuis-Delcourt organizes the Société Aérostatique et Météorologique de France, the first scientific body to study aviation. Later, this evolves to become the Société Française de Navigation Aérienne. 1853 Sir George Cayley builds an improved version of his glider and convinces his coachman to pilot it. The coachman, whose name is lost to us, makes a wavering, uncontrolled glide of a few hundred feet across Brompton Dale, near Scarborough, England. This is the first true manned flight in a fixed-wing aircraft since Abbas ibn Firnas' attempt in 875 CE. The coachman quits Cayleys service immediately after his one and only feat of airmanship, reportedly saying, "I wish to give notice, sir – I was hired to drive, not to fly." 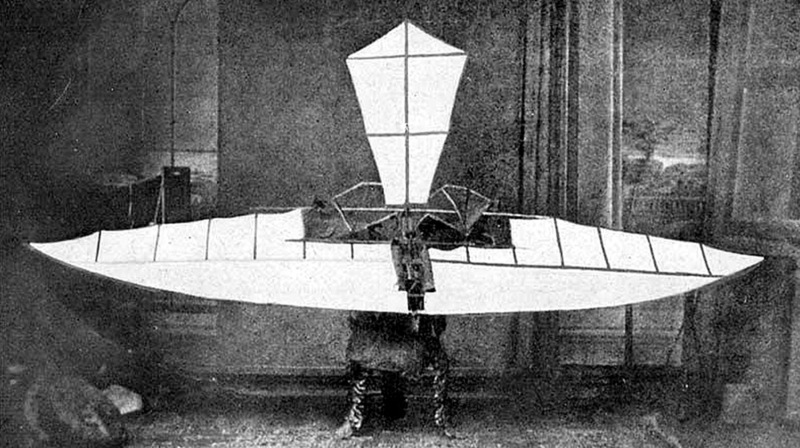 Louis Charles Letur builds and tests a parachute-glider, demonstrating it in both England and France. These are the first attempts at controlled flights in a heavier-than-air machine. After several successful descents, Letur has a serious accident and dies of his injuries. Derek Piggot bravely flies a replica of Cayley's 1853 glider for a British documentary. 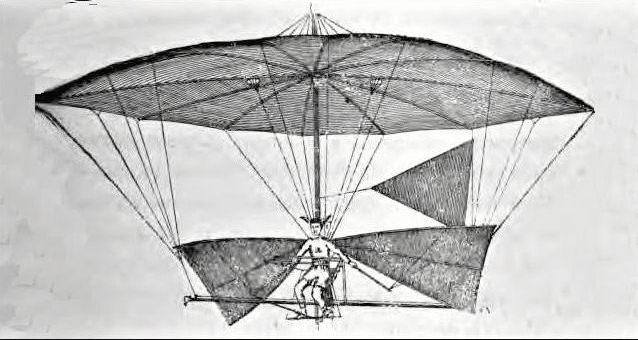 Letur's glider was controlled by ropes attached to cloth vanes. Cayley published his design for a "governable parachute" in Mechanics Magazine.